The "GOG Treasure Key" bonus is given upon entering the hub in-game once per installation (old DRM-based keys can still be activated). Online play requires a Haemimont account. Reward for participating in early access. Supports dynamic resolution with 30 or 60 FPS targets. Camera only. 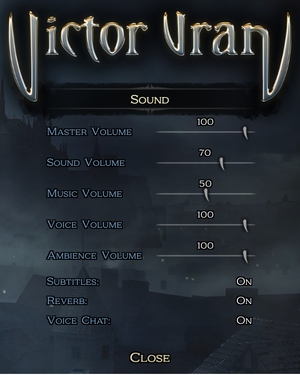 Cursor sensitivity is taken from system settings. No camera control on a y-axis. Requires a Haemimont account; for GOG.com the key on the account page. Go to Video settings settings. 4.1 OS X and Linux only. ↑ GOG Forums :: Multiplayer requires a serial number. Where is it? This page was last edited on 11 April 2019, at 21:38.